Born in France on December 6, 1778, Gay­-Lussac had the advantage of a good education. His family sent him to the École Polytechnique at age 14. Gay-­Lussac came to the attention of the famous chemist Claude Berthollet in 1800 and went to work in his lab. Throughout his career Gay-­Lussac collaborated with many different scientists. He experimented both in the laboratory and in the field and worked as a professor of chemistry and physics at various universities in France. Gay-­Lussac’s work drew attention almost immediately. His high altitude hot ­air balloon flights in 1804, conducted to study the composition of the atmosphere and the Earth’s magnetic field, became famous. Gay­-Lussac’s hallmark was his quantitative studies of gases. His volumetric analysis techniques enabled him to make accurate measurements of gases. In 1802 he published a law of gas expansion, which stated that gases expand at a constant rate at the same temperature. (The law is now more commonly called Charles’s Law since French chemist Jacques Charles discovered the relationship first, but published it after Gay­-Lussac.) In 1808 he proposed another law concerning the behavior of gases, stating that gases combine in simple whole number proportions. This Law of Combining Volumes is the basis for understanding how molecules form and gases interact. For example, Gay-­Lussac determined that one part carbon would readily interact with two parts oxygen to form carbon dioxide. Gay-­Lussac also studied various elements, including chlorine, iodine, and oxygen; his work with chlorine involved an analysis of how light affected reactions of that element with hydrogen. With Louis­ Jacques Thenard, he isolated boron in 1808. Gay-­Lussac discovered cyanogen in 1815. Much of his research attempted to solve practical problems. Gay-­Lussac developed an accurate method to determine the purity of silver using a titration system. One of his inventions, an absorption tower, removed toxic gases from factories producing sulfuric acid. He also created a new type of candle and various types of laboratory equipment and methodologies including ways of eliminating water vapor from experiments. As Gay­-Lussac grew older, he focused more of his time and efforts on industrial uses of science. This benefited the citizens of France and better supported his growing family. Gay-­Lussac died in Paris on May 9, 1850. 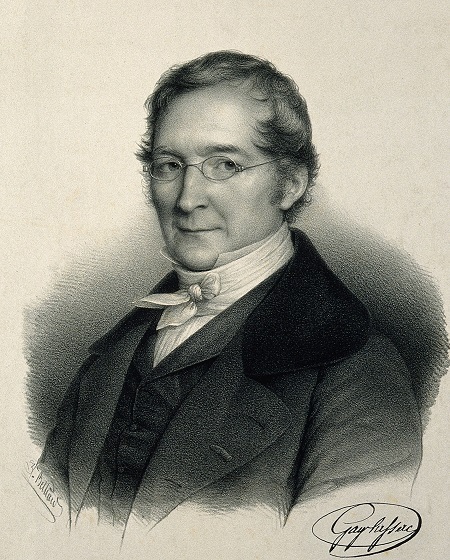 Gay­-Lussac’s analytical work with gases and articulation of two key laws on the combination and expansion of gases provided scientists with insights into matter and its characteristics. During his lifetime, Gay-­Lussac mentored many students. These young scientists, such as the German chemist Justus von Liebig, went on to disseminate his techniques throughout Europe and made their own discoveries. Gay-­Lussac’s first gas law provided the groundwork for AMEDEO AVOGADRO to determine that all gases contain the same number of molecules at the same temperature and pressure, a principle now known as Avogadro’s Law. It also helped LORD KELVIN develop the temperature scale that starts at absolute zero (the theoretically lowest possible temperature), which is now called the Kelvin scale. Gay-­Lussac’s discovery of cyanogen opened a new field of study; the cyanides. Gay­-Lussac’s work immediately influenced the practical world. In 1832, his investigations of silver resulted in a standardization of silver purity used by the French Mint for the next 50 years. His new candle assisted the general populace on a daily basis by providing additional light and durability in warm weather. Although many of his inventions and discoveries furthered the field of science during his generation, Gay­-Lussac’s contributions have endured into the twentieth century. His absorption towers that captured nitrogen oxides during the production of sulfuric acid were in use well into the 1900s. These devices prevented untold amounts of toxic fumes from entering the atmosphere. His method of titration and of eliminating water vapor from experiments are still in use today. He also helped to provide a theoretical basis for important aspects of contemporary chemistry and physics. In particular his laws of gas expansion and combining volumes remain part of the fundamental theoretical basis in chemistry. Also, Gay­-Lussac’s measurements of how light affects the reaction of chlorine and hydrogen demonstrated the role of light energy in chemical reactions. This provided a foundation for photochemistry, which helped lead to a quantum theory of the transformation of energy and matter.